As the new home for those studying theatre, dance and music, The House gives the University a state-of-the-art teaching and events space. Furthermore, The House’s positioning – sitting adjacent to the Roland Levinsky Building and the Plymouth City Museum and Art Gallery – is already further enhancing this part of the city as a cultural destination. Winner of the best new building and overall prize for demonstrating design excellence and innovation at Plymouth’s Abercrombie Awards 2014, The House’s facilities include a 200-capacity, sprungfloor theatre, studio spaces and advanced technology, with undergraduate and postgraduate programmes being taught there since September 2014. 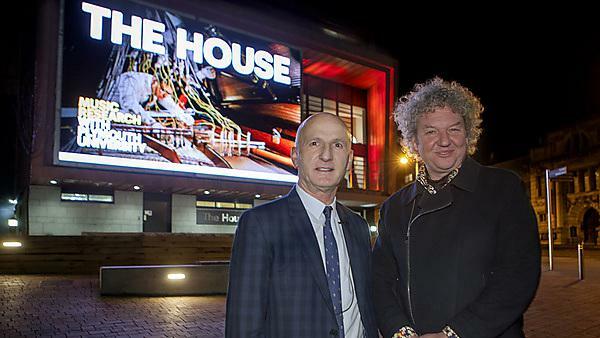 Since the official opening in November, a number of partnership events staged at The House have strengthened links between the University and the Barbican Theatre and Theatre Royal, giving those from Plymouth and the surrounding areas the opportunity to see productions of national and international standing. The venue is also playing an important role in the Peninsula Arts performance programme later this year.